SEO - Ellev - The Best Full-Service, Award-Winning Ad Agency in the Carolinas! We Get Your Business To The Top Of The Search Engines! Getting clients found online is one of our specialties! We take your website from being practically invisible to absolutely impossible to ignore at the top of the search engine results! Contact us today to get your SEO campaign started for an affordable rate! The process of researching the best keywords for your business by search volume, competition levels, and such. Auditing HTML, headings, code check, duplicate content check, page link checks, and more. Optimizing Google+ and Places pages, Google reviews, local directory listings, etc. Creating on site and off site keyword relative content on blogs, site articles, as well as on site content pages. Creating quality inbound links, cross links, directory links, citation links, etc. Monitoring competitors backlink profiles, keywords, content, etc. for insight and opportunity. 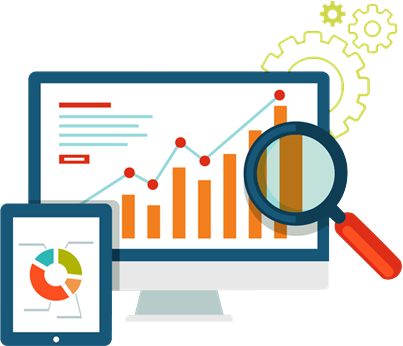 Tracking ranking data, research adjustments, monitoring traffic, conversions, site bounce rate, etc.